Bee Gees, Saturday Night Fever is the #1 production to the Bee Gees in the world. 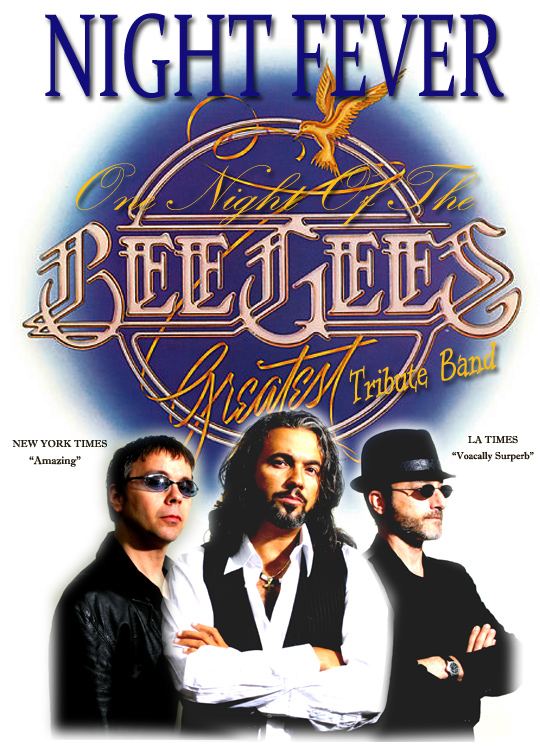 With an amazing look and fantastic vocals, you will re-live the Bee Gees on stage, in concert. You will be able to sing along to some of the greatest Bee Gees hits of all time such as, “Too Love Somebody, Night Fever, More Than A Woman Jive, Talking and Stayin’ Alive,” and many more!